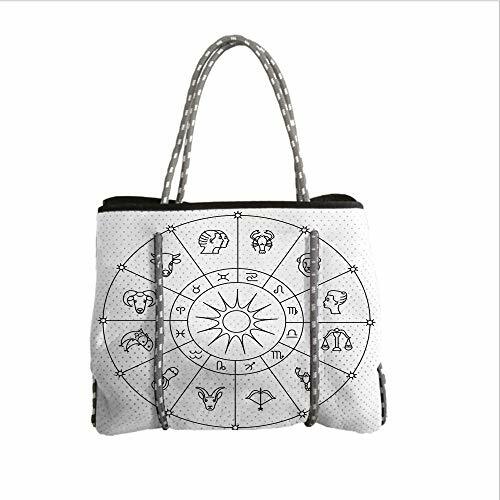 iPrint Neoprene Multipurpose Beach Bag Tote Bags,Astrology,Sketchy Zodiacal Circle with Astrology Signs Aries Aquarius Pisces Lion Art,Black and White,Women Casual Handbag Tote Bags | Accessorising - Brand Name / Designer Handbags For Carry & Wear... Share If You Care! A tote that is chic, durable, and incredibly versatile – the Neoprene Multipurpose Beach Bag Tote Bags is designed to fit items for work, working out, the beach, or even a well-deserved weekend away. Our tote is crafted from high-quality perforated neoprene fabric that is durable, lightweight, and soft to the touch. Double rope handles are weaved through the front and back of the tote to ensure that the bag will keep its shape while adding a touch of style to an everyday & everything kind of tote. Spacious & Foldable The Tote spans 23in x 17in x 9in yet can easily be folded over and collapsed to save room with not in use. Two large inner pockets to hold all of your belongings. Double rope handles are weaved through the front and back of the tote to ensure that the bag will keep its shape while adding a touch of style to an everyday & everything kind of tote. Metal button fasteners are on the side of the bag to create a foldable tote. Metal eyelets line the rope to reinforce and strengthen the handles. 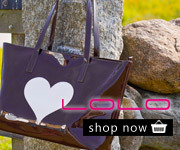 The ideal fashionable beach tote, pool side bag, work tote, carry on bag, sport bag – even a diaper bag! Recommendation: Neoprene is a non-toxic, waterproof material that has a variety of uses. We recommend that you air out the bag for 1-2 days after delivery or wash the bag to deodorize the neoprene exterior. PERFECT SIZE: 14.9″L x 6.7″W x 12.2″H /38cm x31cm x17cm. Interior: 1 * Compartment, 1 * zipper pocket, big enough to carry your all daily supplies(necessities),such as cell phone, ipad, camera, glasses, wallet, cosmetics, umbrella, lunches, snacks, etc.If you have pictures you like, you can contact us by email. We can customize them for you. STYLISH & EXCLUSIVE DESIGN:Full package printing ,Clear fashion texture with simple styling and various delicate pattern.No matter you are a university student or an office Lady,It is a good choice for you to reveal your noble temperament and identity,you will get compliments.Large Tote Bag made of Premium Quality Mesh Neoprene.Versatile,soft,and flexible – this bag will hold all your daily needs and essentials.Stylish,minimal chic design is perfect from going to the beach or into the office! EASY TO CARRY: It could be folded in,you can easily put it in your suitcase when you end of the vacation. And the sailing rope handles provide strength with minimal stretch and weight.Perfect for the beach, picnics, outdoors, festivals, parties, office, gym, work, travel, vacation, use as a diaper bag, computer bag, shopping bag, travel carry on – the possibilities are endless! Sturdy and strong – the thick corded rope straps loop through the entire bag to provide strength and structure to the bag. Easily sits and holds its shape so you can just throw in your essentials and go! Folds down flat for easy storage and travel. MACHINE WASHABLE, REUSABLE and DURABLE: Made from neoprene material,it is easy to clean and quick-dry; Machine Wash Cold. Light steam. Do not tumble Dry. Spot clean with damp cloth. Please wash before first use to remove any odors.It can be also used for a long time because of its long-lasting zipper and thick materials.Easy to clean and machine washable.